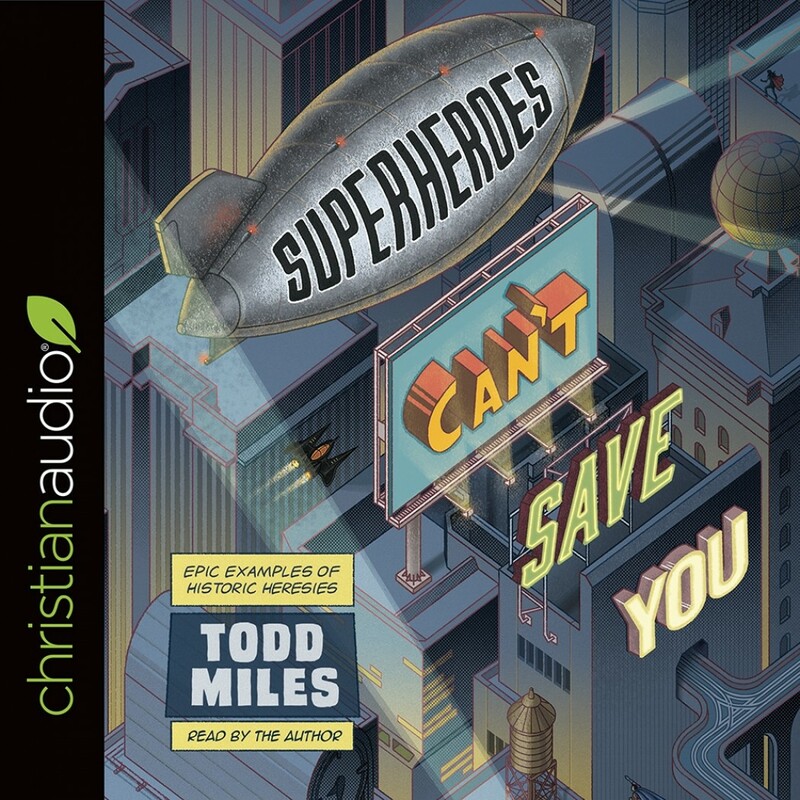 Superheroes Can't Save You | Todd Miles | Audiobook Download - Christian audiobooks. Try us free. Comic Superheroes embody the hopes of a world that is desperate for a savior. But those comic creations do not have what it takes to save us from our greatest foes – sin and death. Jesus Christ is able to save us because he is all that the Bible says that he is, fully human and fully divine. According to the logic of the gospel, Jesus must be everything the Bible says that he is so that he can do everything the Bible says that he does. Throughout the history of the Church there have been bad ideas, misconceptions, and heretical presentations of Jesus. Each one of these heresies fails to present Jesus as the Bible reveals him. And each one of these heresies is embodied in a different comic superhero. and an explanation of why it is important that we understand who Jesus actually is. Many Christians may not understand the language and vocabulary of theological terms like hypostatic union, person, or essence. But they do know who Superman, Batman, and other superheroes are. By comparing something everybody already knows (who the Superheroes are) with what they need to know (who Jesus is), this book makes vitally important Christian truths understandable, applicable, and heartwarming to a wide audience.